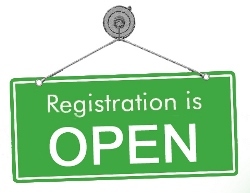 Registration is open for all programs, playgroup, preschool, elementary school and the afternoon programs. Contact us by phone or through our contact form, or pay us a visit. We are open from 8:00 in the morning until 17:00 on weekdays. In January we will re start our Open House days. Come and join us on one of these days. OPEN HOUSE; 1/3, 5/4 and 3/5. These events are for parents and children. It's the best way to get to know our school. Your child can join into activities and we have coffee and snacks ready. The firts 5 people which will registre their child on these days will receive 10 % discount on their child's schoolfee. Share the joy of sponsorship. Every child has the right to grow up happy, healthy and with an education.We provide a child to get a good education and remain in school. It will take less than five minutes of your time to make an online donation. Click 'read more' and you will be directed to our support page. Following the succes of the kindergarten and the afternoon program our school is now in the process of establishing an elementary school, Grade 1 until 6.. We do this by starting one new class each year.. Next year we will be opening grade 3. For this year's grades 1 and 2 you can still enroll your child. Travellers, collegues, friends, parents, sponsors, everybody is welcome to visit our school. Check our holiday schedule to see if we are open and contact us to schedule an appointment.We will be more then happy to open the door for you and give you a tour around our school. 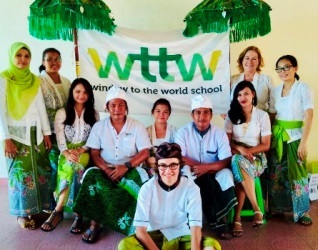 See you at the WttW school! The whole Window to the World community; staff, students, parents and friends join hands in our school ‘clean environment’ program. The Green Ranger program focusses on methods of sustainable waste management. Follow us on Facebook and join us with help, ideas and man power!